CHICAGO–(BUSINESS WIRE)–Fanplayr, the leader in solutions for targeted e-commerce offers, today announced the launch of real-time E-commerce Analytics that support the company’s Targeted Conversions platform for e-commerce merchants. Fanplayr’s Targeted Conversions is a breakthrough approach to boosting online sales. Our retailer clients have found that it is much more effective to target visitors in real time while they are shopping, as compared to after they have abandoned their cart and left the site. The company will be exhibiting and demonstrating the product and the E-commerce Analytics (Booth 222) at the Shop.org Annual Summit 2013 in Chicago from September 30 through October 2, 2013. Fanplayr’s Targeted Conversions is an intelligence-based offers platform designed to help online merchants increase sales, improve average order values and optimize purchase incentive margins. Purchase incentives can have a profound impact on revenue and margins. The right offer at the right time can help merchants close a sale, while using the minimum discount needed to convert a prospect to a sale contributes directly to bottom line. Targeted Conversions first analyzes a merchant’s site and visitor behavior to determine profiles of visitors that would be most receptive to specific offers and timing. Its SaaS-based platform is then used to create real-time campaigns that segment traffic and present dynamic offers based on visitor behavior, providing the right offer at the right time for a lift in conversions. 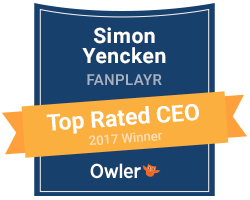 Fanplayr’s customers have seen an increase in conversion rates as high as 25 percent and average order value up as much as 50 percent by using Targeted Conversions.